Everything that a traditional wedding cake isn’t supposed to be, but everything a cake needs to look fantastic. What one would normally use to decorate, you don’t see on this cake. Here the green flowers are the centre of attention. 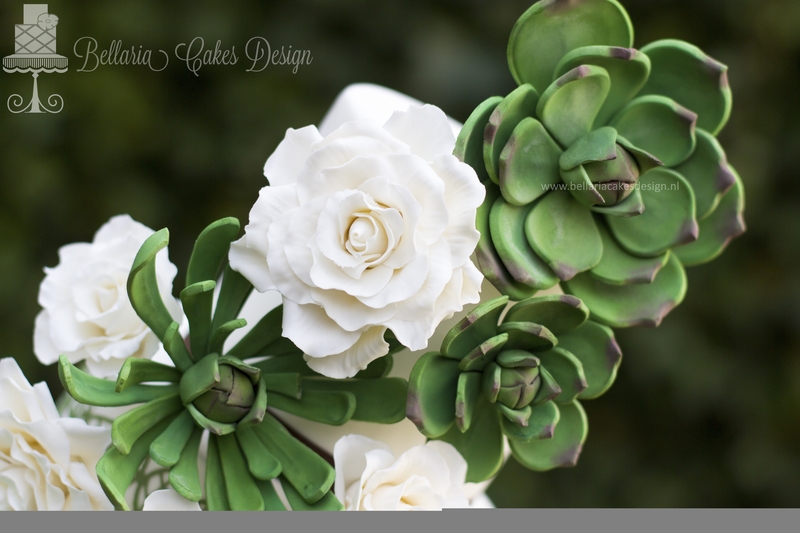 One look at this cake and you’re thinking of an afternoon when you’re sitting outside and soaking up the sun while the green leaves are rustling in the wind. 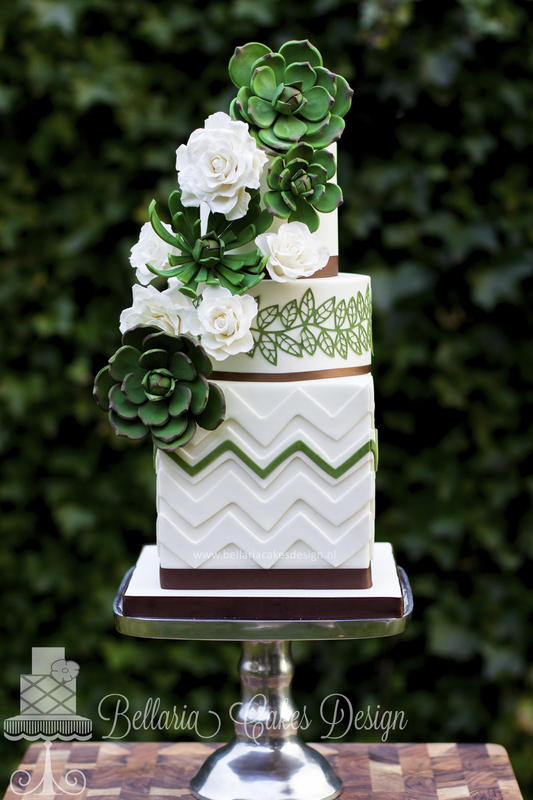 The succulent and chevron take traditional to another level and the dark green, white and brown colors make a nice contrast while balancing each other out at the same time.